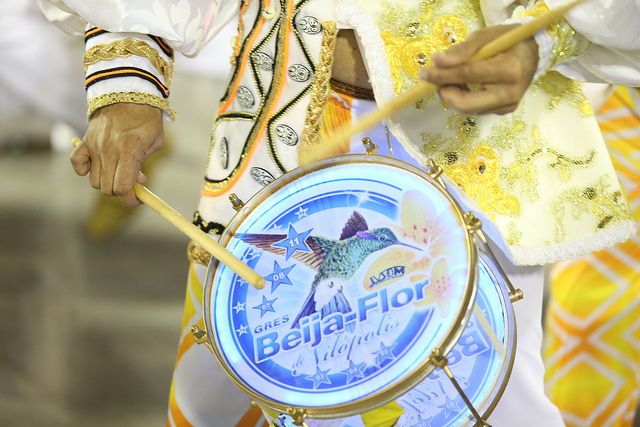 Beija-Flor (the humming bird) is the champion samba school of Rio’s 2015 carnival with a samba that was based on the historic links between Equatorial Guinea and Brazil. It was one of three schools to choose Brazil’s relationship with Africa as its theme. Viradouro, which also chose Africa, came last and was relegated. It is Beija-Flor’s 13th carnival title, the first since 2011. 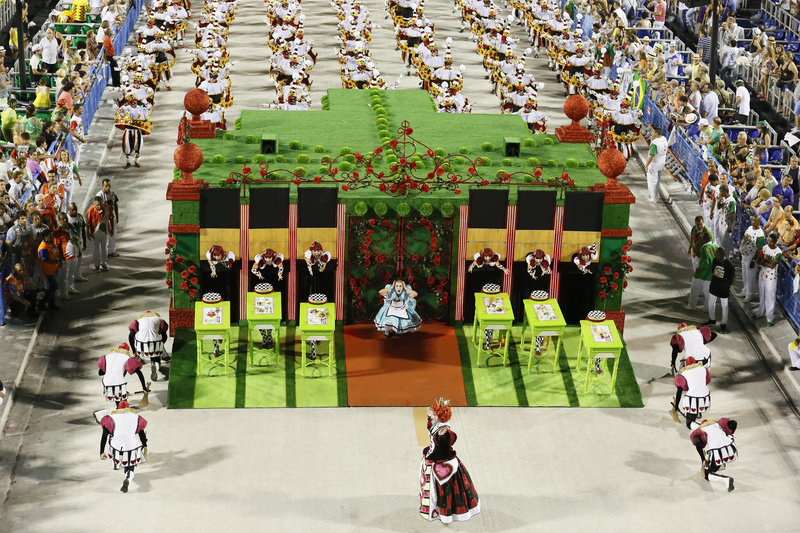 Salgueiro was runner up with a theme that looked at the tastes and customs of the neighbouring state of Minas Gerais, while in third came Grande Rio who had as its theme cards. 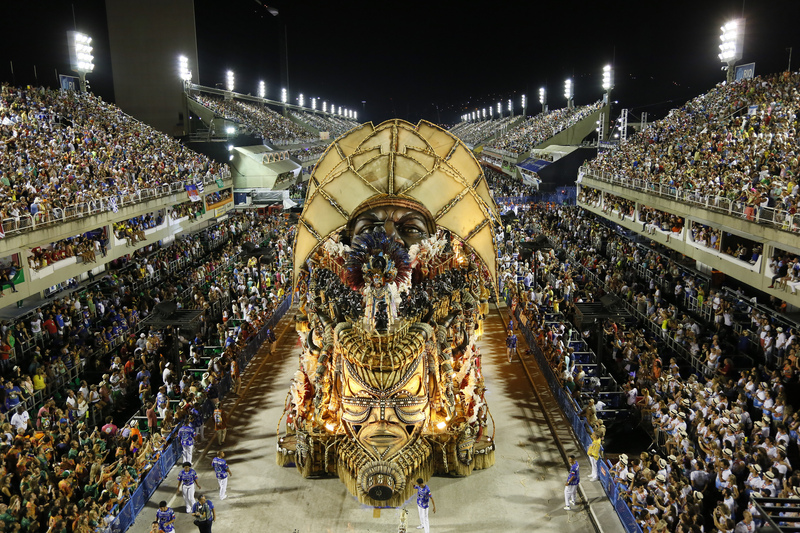 Grande Rio tied on points with Portela, which looked at 450 years of Rio surreal, and last year’s champion, Unidos da Tijuca, that had a theme based around Switzerland and one of the great characters of carnival, Clovis Bornay. 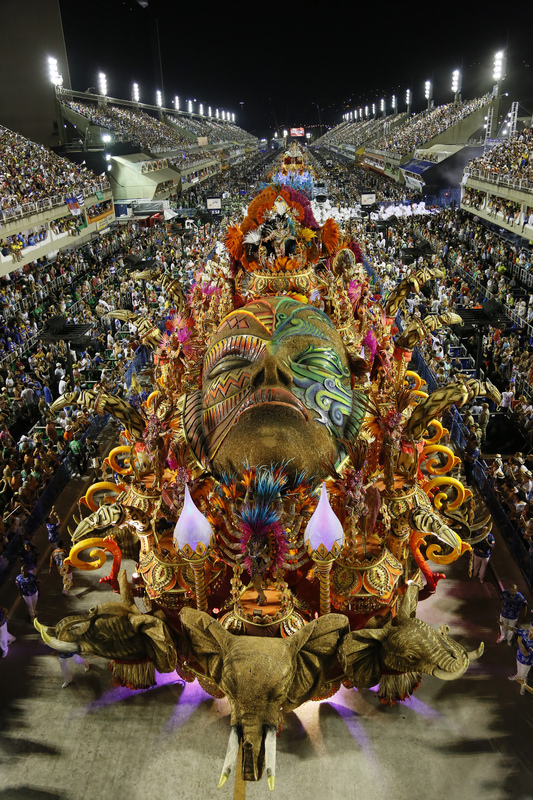 This entry was posted in Brazil, Rio de Janeiro and tagged Brazil, Carnival, Rio de Janeiro by Critical Divide. Bookmark the permalink.